An unholy evil threatens the seat of power in Nottingham. Even the sheriff will be destroyed unless a group of rebels and outlaws can discover the threat before their own beloved Sherwood Forest, and the whole of England falls under a hellish power. 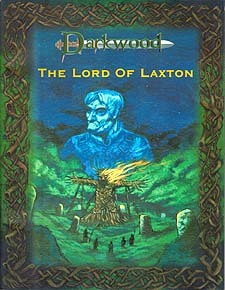 The Lord of Laxton is suitable for both new and experienced players. Standard and heroic characters. It can be the launching point for a new campaign, a climatic end to an existing campaign, or a purely standalone story. Information is provided to run a whole campaign. Contains detailed maps and information on Nottingham and Nottingham Castle.